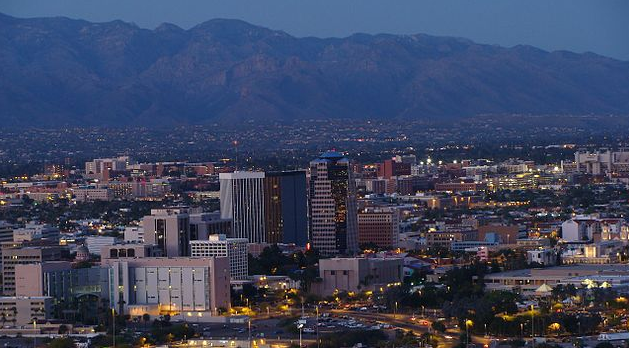 Tucson, Arizona has been a popular destination for retirees and active adults for decades. To cater to the large retirement population there are dozens of age-restricted communities in Tucson and the surrounding area. However, there are only several 55+ communities in Tucson that qualify as large-scale active adult communities complete with well-equipped amenity centers and a socially active lifestyle. Many people who move to one of Tucson, Arizona s active adult communities are drawn to the vibrant lifestyle and expansive amenity centers. Most of the larger Tucson active retirement communities include a clubhouse, tennis courts, golf courses and other desirable attractions. 55+ active adult communities in Tucson typically include a lifestyles director, who helps coordinate the many clubs, events and activities that Tucson retirement communities are known for. Whether you prefer an intimate villa in one of the small Tucson, AZ 55+ retirement communities or a luxurious single-family home at a large active adult community in Tucson, there is something for everyone. Several of the active retirement communities in Tucson, Arizona are gated, offering secure living and allowing owners the freedom to lock and leave without worrying about their homes. Golf lovers can choose from several golf retirement communities in Tucson, Arizona. Tucson is located 118 miles southeast of Phoenix and 60 miles north of the United States Mexico border. The metropolitan area contains a population of 980,263 people and has many distinct neighborhoods. Tucson tends to have hot summers and temperate winters. Compared to Phoenix, Tucson active adult communities are always cooler and wetter due to its higher elevation. Active adults in Tucson look forward to the many festivals and cultural events that are held annually. Popular events include the Tucson Gem and Mineral Show, Pima County Fair, Tucson Festival of Books, Tucson Folk Festival, Fourth Avenue Street Fair, The Tucson Rodeo, Tucson Meet Yourself, All Souls Procession Weekend, and more. Other attractions like the Arizona Historical Society, Fort Lowell Museum, The University of Arizona Art Museum, Tucson Museum of Art, and Arizona-Sonora Desert Museum are all filled with rich history. Sports enthusiasts enjoy cheering on the University of Arizona Wildcats teams, most notably their men s basketball and women s softball teams. The Tucson Raceway Park hosts NASCAR events and the Rillito Downs features horseracing. Like most of Arizona, Tucson has plenty of outdoor recreation. The city itself has more than 120 parks and five public golf courses. Visiting Tucson Botanical Gardens, Tohono Chul Park, Saguaro National Park, Sabino Canyon, and Biosphere 2 are all popular outdoor attractions. Mt. Lemmon offers great activities like hiking, biking, rock climbing, camping, picnicking, and fishing. The cost of living in Arizona is less than United States average. The median home price is $148,000 and the top state income tax is 4.54%. In 2013, Forbes.com named Tucson in its list of The 25 Best Places to Retire for it s low cost of living, good state tax climate, warm weather, high doctors per capita, and above average air quality. There are 16 hospitals in the Tucson metropolitan area. University of Arizona Medical Center (UAMC) is a nationally ranked hospital located in Tucson. It is a 487-bed facility with notable services like the Arizona Arthritis Center, Arizona Cancer Center, Arizona Center on Aging, and Arizona Respiratory Center. It has been ranked in many publications and has two campuses.